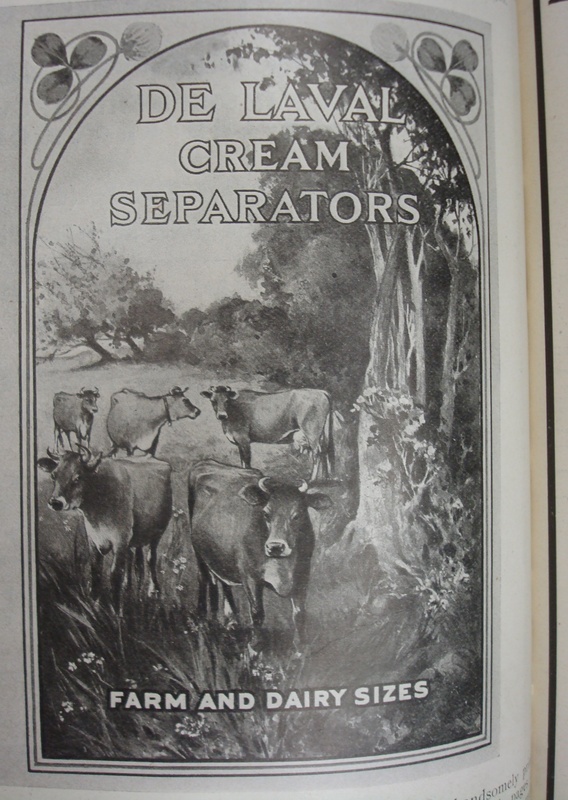 Thursday, August 10, 1911: Trotted after the cows this morning and did some sewing this afternoon. Don’t like to sew very well, but must when no one else will for me. The cows must have somehow managed to escape from the pasture AGAIN. This is the fifth time during summer 1911 that Grandma mentioned chasing cows. Only two days previously she wrote about a rebellious heifer in the orchard. I wonder how many cows the Muffly family had. A hundred years ago farms were more diversified than they are today. Most farms had only a few cows, a couple of pigs, some chickens, some ducks, and maybe a few sheep. (Whew, it’s starting to sound like Old McDonald’s Farm). I’d guess that Grandma’s family only had 4 or 5 milking cows—plus a couple heifers and calves—but that’s only a guess. 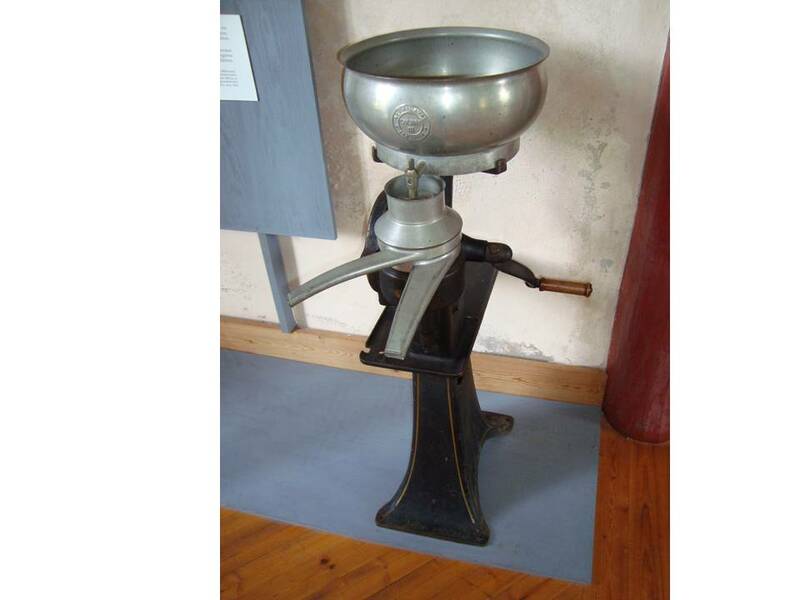 Many farm families sold butter, so they probably had a cream separator that separated the skim milk from the cream. The family would have fed much of the skim milk to calves and pigs—and the butter that the family didn’t use would have been sold. Had to smile at this post. In my gggrandfather’s diary, they seemed to spend much time looking for sheep and cows that had strayed. Now I just have to keep track of my black shepherd. And, your comment makes me smile! Your mention of keeping track of your black shepherd brings back wonderful memories of trying to keep track of a Belgian Tervuren dog we once had. What a wonderful vivid description! I think I’m glad that by the time I came along my family had a bulk tank, and the separator had been put into storage in a shed. My father often talks about going to town on Saturday evenings with his parents. He and his father would stand on the street corner and visit with the other males, while his mother and sister shopped. It amazing how similar things were in Pennsylvania and Iowa.